The Amalfi Drive (connecting Sorrento and Amalfi) is a narrow road that threads along the high cliffs above the Tyrrhenian Sea. Ferry boats and hydrofoils provide services to Naples, Amalfi, Positano, Capri and Ischia. 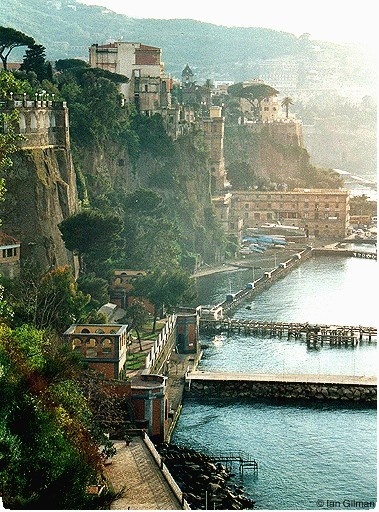 Sorrento's sea cliffs and luxury hotels have attracted notable people, including Enrico Caruso and Luciano Pavarotti.